Do you love cupcakes as much as Whit and I do? We have been addicted to the new show “DC Cupcakes” on TLC lately. 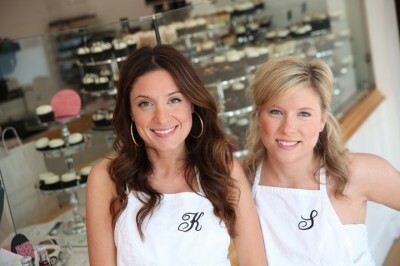 Katherine and Sophie are sisters and they own a cupcake show called Georgetown Cupcakes. These ladies are unbelievably talented. I think it would be incredible to have a job where you decorate cupcakes all day. Especially with your sister! How cool is that 🙂 Everytime I watch this show it makes me want to bake… and that is exactly what we did last night! Namaste Foods recently gave Whit and I the option to sample two products for free. 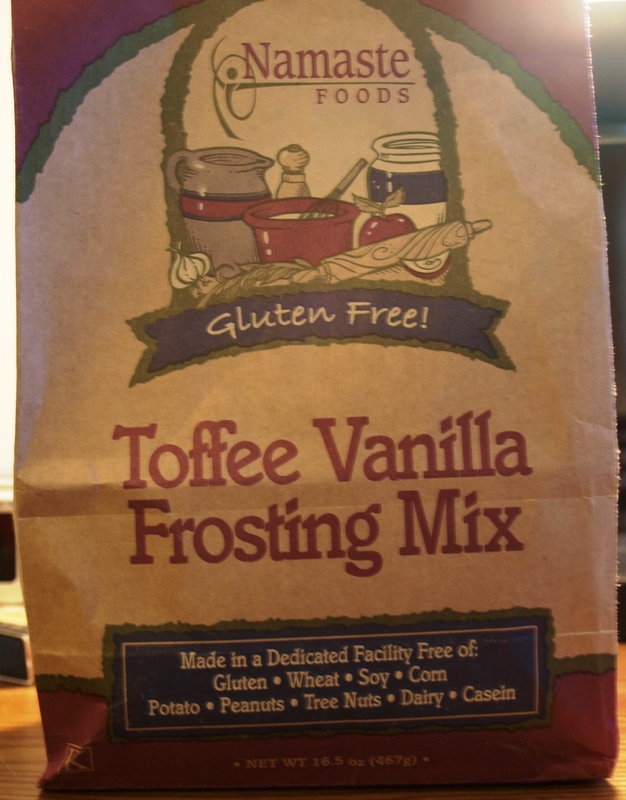 So after debating over the many amazing products that this company offers, we decided on their Toffee Vanilla Frosting Mix and their Muffin Mix. Namaste is a company dedicated to creating delicious allergen free foods. -Their products contain no wheat, gluten, corn, soy, potato, dairy or nuts. -All of Namaste cake mixes contain two rounds as opposed to one in traditional cake mixes. 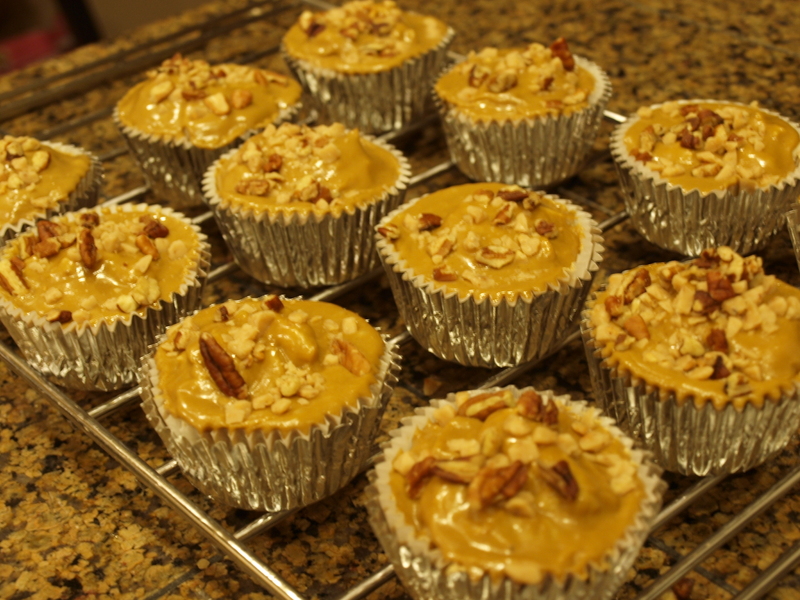 Whit and I decided to put these two products to use by making iced toffee nut muffins. I prepared the muffins while Whit made the frosting. 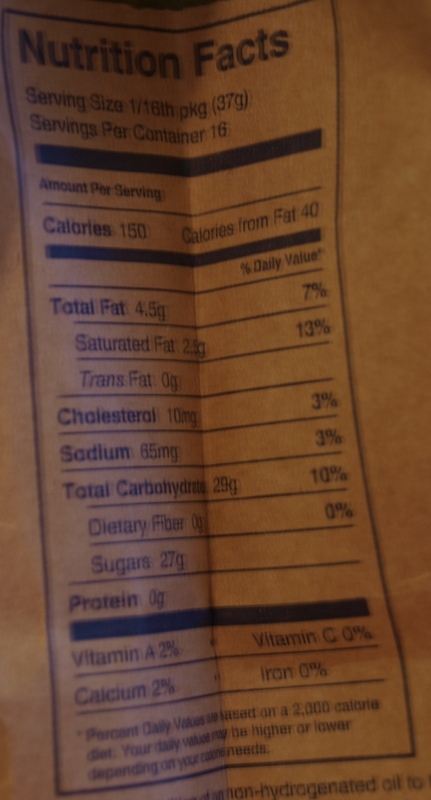 Let’s first take a look at the ingredient list. I was in awe that such a simple ingredient list could whip up such awesome cupcakes! With this ingredient list, I just followed the directions on the back of the package verbatim. It said to add eggs and water so I did. I did not want to chance messing up anything. While the muffins were in the oven I decided to snap some pictures of the frosting! Just look at that thickness… this is what you call REAL frosting! Once the muffins came out of the oven then I let them cool. Can you see the melted toffee chips? Once the muffins were cool Whit and I had a frosting party and went to town. It is crazy but there is no way to frost ugly with this frosting. 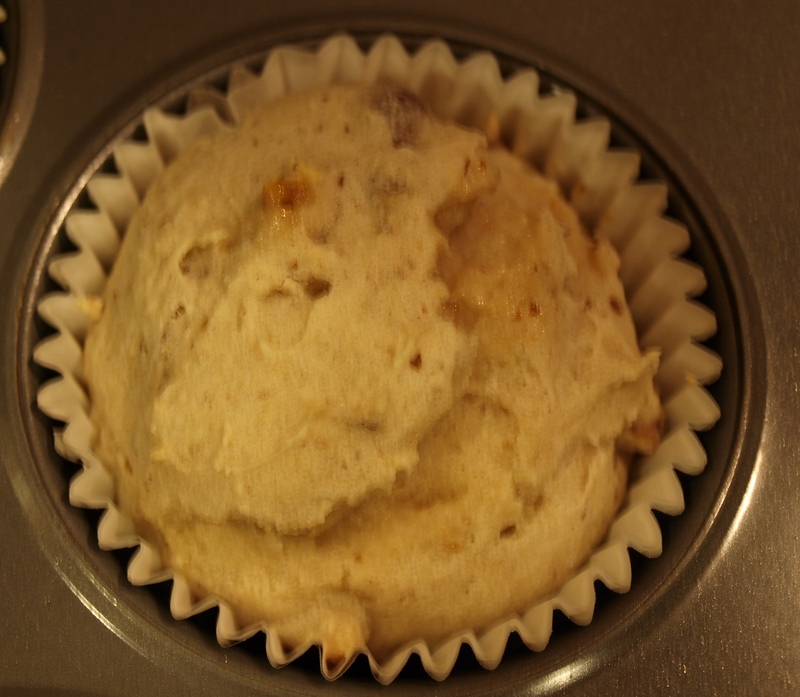 You just slather it on and it molds to the muffin perfectly! I must say that these take the cake lol! I do not know what it is about Fridays, but Whit and I always end up having pancakes or waffles! 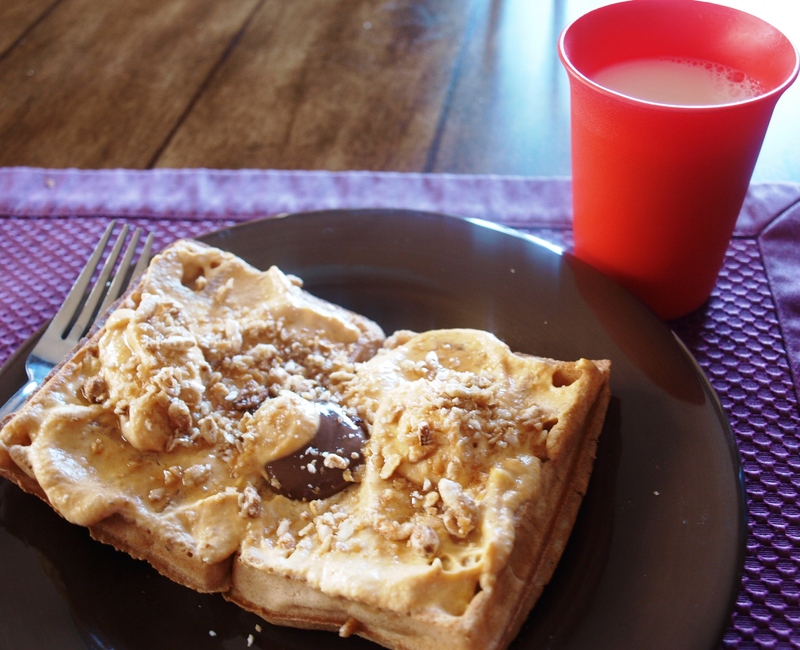 This mornings special was Van’s Belgian Waffles. 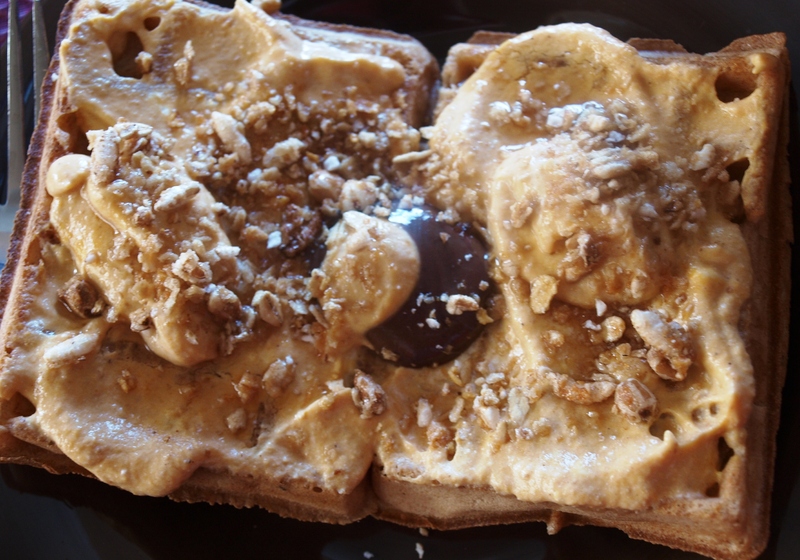 We topped ours with plain greek yogurt, pumpkin, stevia, chocolate pb, and kashi. For dinner we had chicken tacos. When you do not know what to make then tacos never fail in this household. We found the new Sun-Dried Tomato Laughing Cow so that is what I put in my taco. It was superb! 1. Bake some goodies and leave a link to your post! 2. Tell other people about our giveaway. This can be on your blog, twitter, or facebook. Once again leave a comment telling us you did so and a link. 3. 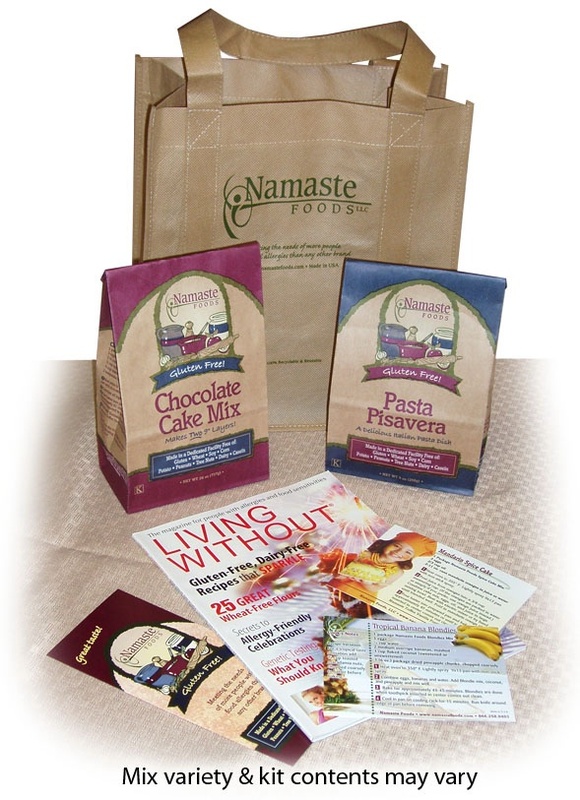 Check out Namaste’s website www.namastefoods.com and tell us about a product that you want to try, and what that you would use it for. 5. Follow us or dd us to your blog roll and leave a comment say you did so. You can enter a max of 3 times so get to it! This Giveaway will end next sunday August 8th at midnight. Aw man, another US-only giveaway. The cupcakes look amazing, though! 🙂 The ingredients list is quite impressively “real”! My fave ingredients for healthy baking are applesauce (in place of oil). Whole wheat flour, carob chips. And nuts!!! These muffins look so good I could eat them through the screen. Wow all their products look great! The Toffee Vanilla frosting looks pretty darn good, as does the Spice Cake Mix! I like subbing applesauce for the oils, and “flax eggs” for real eggs. 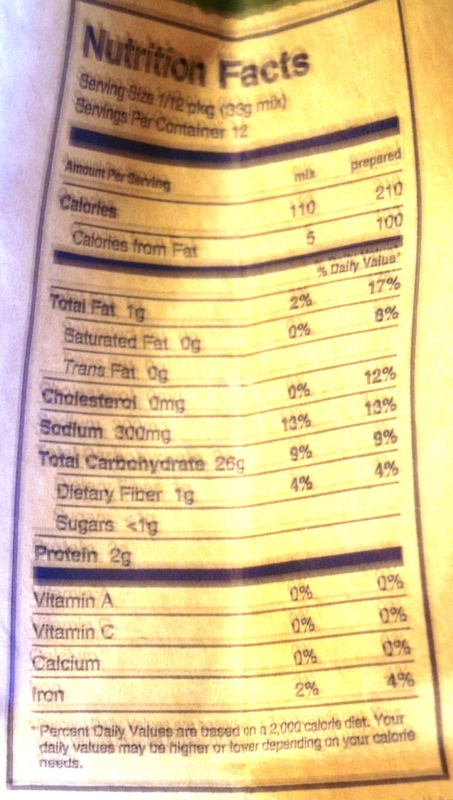 To make baked goods more healthy, I substitute ripe bananas in for the sugar..only when I want a banana flavor though. I also replace oil/butter with apple sauce! Where did you find the Laughing Cow?!?! I have been looking ALL over Denver for their new flavors!!! Do you know where I can find them? i LOVE this company. 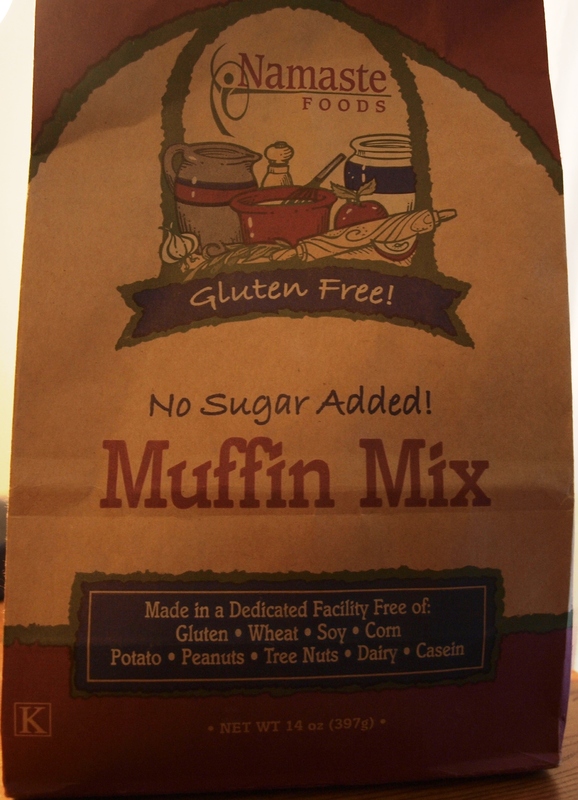 i am gluten-free so i have tried every baking mix out there, and they make some of the best. i love to use coconut oil for baking – coconut flour too! Gluten free baking!?!?! YESS! Perfect for me 😀 I’ll totally enter – the “Say Cheez” Pasta Meal looks divine, as do all of these goodies, yum! I already have ya’ll in my reader, of course! My healthy baking includes whole wheat flour, flax seed, and nuts of all varieties! I’d love to try their Biscuits, Piecrust & More mix to make biscuits (of course) and also maybe pizza crust! This looks like a great company! I’d love to try the pizza crust mix. oh. my GOODNESS those muffins look absolutely AMAZING. ok ok Im so entering. for baking, I usually swap applesauce for oil, whole wheat flour for regular flour (or at least half and half), and egg whites/egg beaters for eggs! For healthy baking, I love using flax seed grounds or protein powder instead of processed flour. i would love to get the blondie or brownie mix for my mom. she is gluten free and we love finding gluten free products and treats! I use 2 egg whites for every 1 egg and pumpkin for oil. The Brownie Mix would be great to make for my dad since he loves brownies. Awesome giveaway girls! I would love to try the power flour mix for healthy baking! Your already on my blogroll of course! 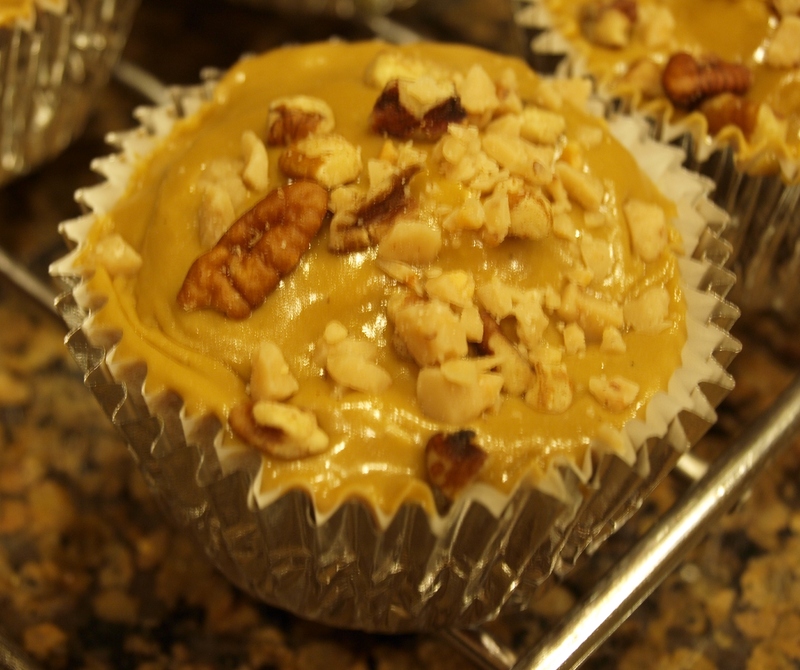 I LOVE using pumpkin for healthy baking, it’s just so hard to find! Those waffles look TDF! It’s killing me that the canned pumpkin around here is nonexistant because of the Libby’ ruined pumpkin crop! UGH. Anyway, the namaste foods look delish too! Especially that frosting! I told my girl, Mandy about your giveaway! She loves to bake! The Blondies mix looks yummy! 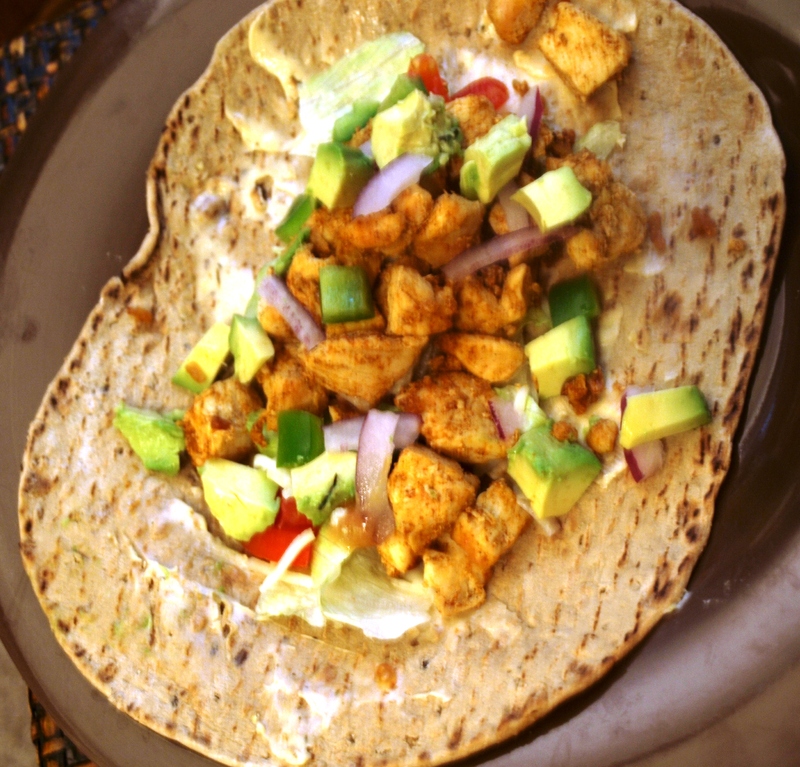 I used to love the ones from applebees and would LOVE to recreate my own healthy versioN! I like to use applesauce or pumpkin in place of oil! I love subbing flax seeds for eggs. This is especially great for halving a recipe. Who can really half an egg? the frosting you made looks awesome! i love substituting applesauce, pumpkin or greek yogurt for butter & sour cream in recipes! I would love to try their Chocolate Cake mix with the Toffee Vanilla Frosting! Mmm, look delish and the ingredients are amazingly healthy! And instead of processed sugar, I use agave necatar, honey and pure maple syrup. Here’s a link to my baked goodies! I also mentioned your giveaway on my blog. 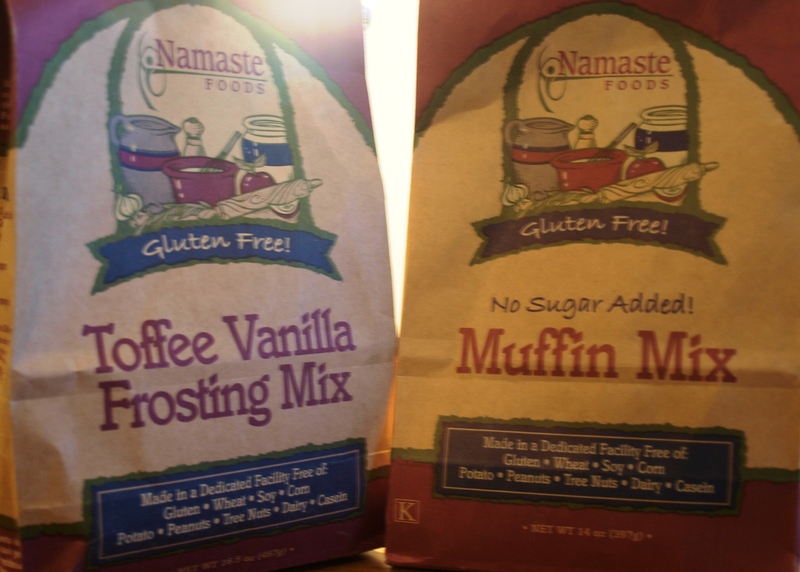 Namaste has so many great looking products…I think I’d get most use out of the Perfect Flour Blend. It’d allow me to transform a lot of baked goods from mediocre-healthy to healthy and all-natural. 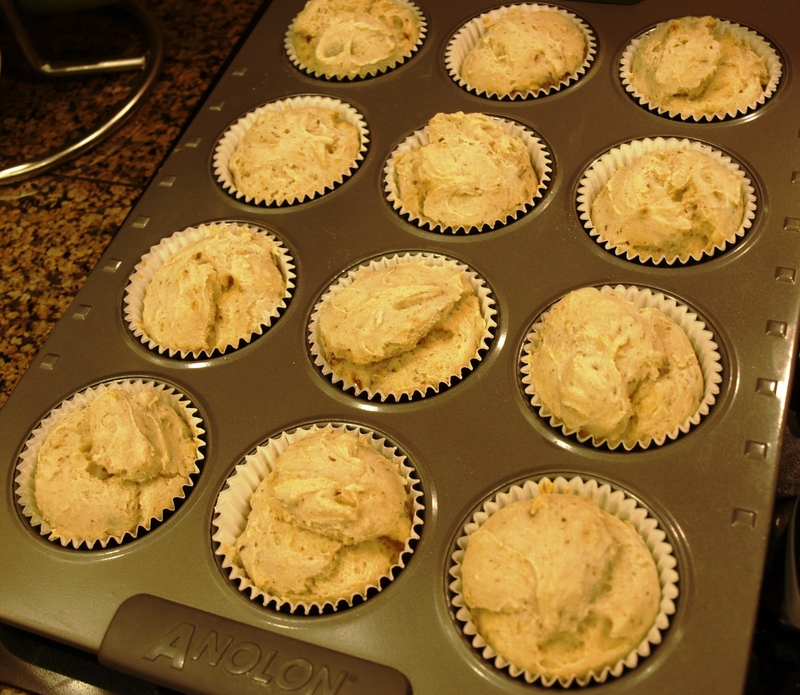 The spice cake mix looks good too…I make these awesome pumpkin muffins with spice cake mix so the mix would probably make the muffins 10x better! A close third would probably be the Say Cheez Pasta Meal…BIG mac-n-cheese fan. For healthy baking, I LOVE using organic pumpkin as a replacement for vegetable oil. When I don’t have pumpkin handy, I use olive oil or even applesauce. Applesauce is easy because it’s a 1/1 ratio to vegetable oil. No extra measurements needed. I actually used applesauce in the black bean brownies I made instead of the vegetable oil the recipe called for. Greek yogurt also has outstanding versatility…it’s so amazing how natural foods are multi-functional. And as far as sweeteners go, agave nectar is great, and so is maple syrup. I use both of them to sweeten many things, such as plain oats. I love using fat free plain yogurt for baking – it adds extra moistness. Egg whites are an easy switch for whole eggs, and applesauce is also a great substitute for oil! 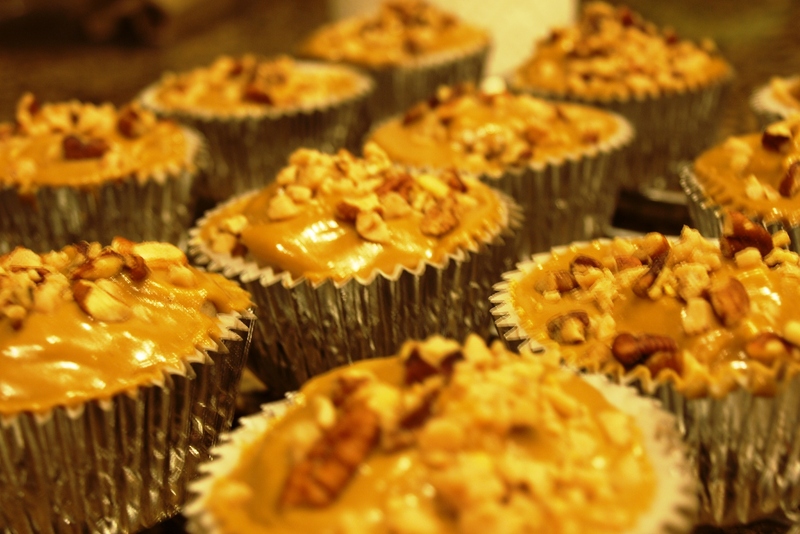 I would try Namaste’s Spice Cake Mix and make some carrot cake cupcakes – yum! I like to use fresh ingredients as much as possible, and I make sure that all ingredients I use are HFCS and trans fat free! The chocolate frosting of theirs sounds delicious!